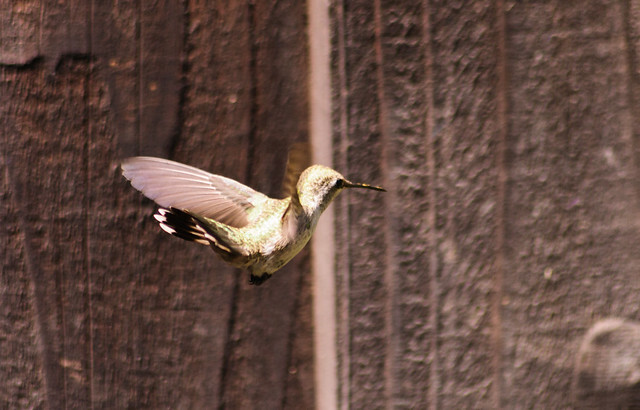 One of the best reasons for having a nice long zoom lens is a garden full of hummingbirds. And while being Londoners we may not have such a garden, our Silicon Valley friends do. So I spent much of a lazy weekend in the sun photographing little green darts as they flashed around the garden, on their endless quest for sugar. They're fearless beasts, and you can see how the Aztecs believed them the souls of dead warriors, as they engage in wars for flower patches. 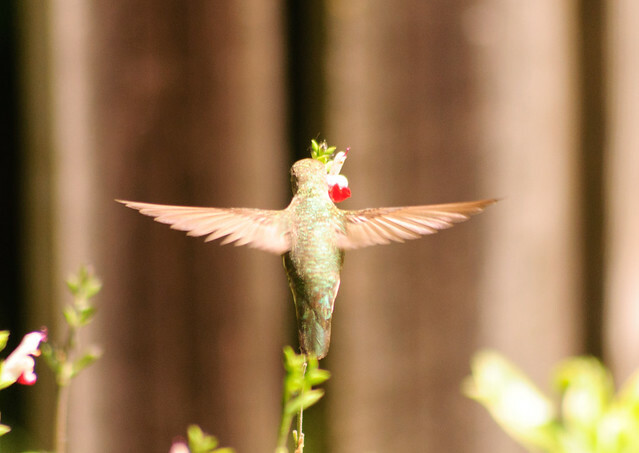 There's something ethereal about a hummingbird frozen in time and in space, its wings a blur of pixels, its iridescent fathers locked in one eternal configuration. 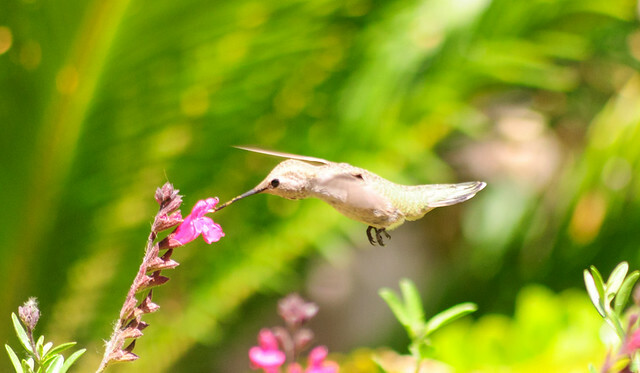 They're creatures of motion, as they dart from blossom to blossom. 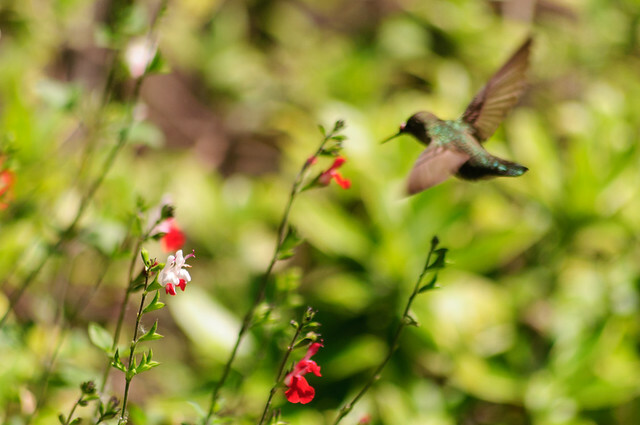 These then are some of the Anna's Hummingbirds that have claimed one small garden as their territory. I can hear them now, in the trees by the creek, angrily disputing their boundaries. Click through for larger versions on Flickr, along with plenty more images! They're impressive bundles of energy. 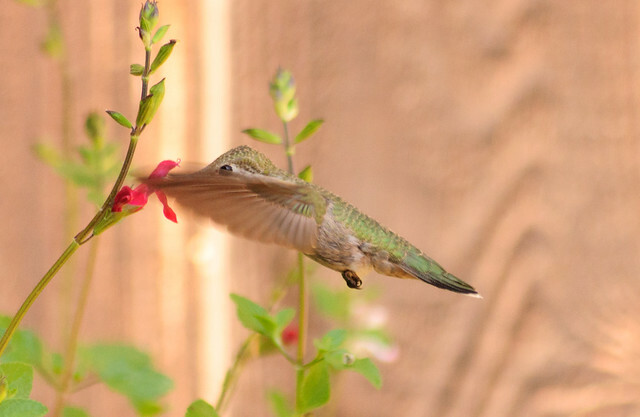 I love the iridescent feathers. Very nice captures!